Elder Richard G. Hinckley is a member of the First Quorum of Seventy of The Church of Jesus Christ of Latter-day Saints and the executive director of its Missionary Department. 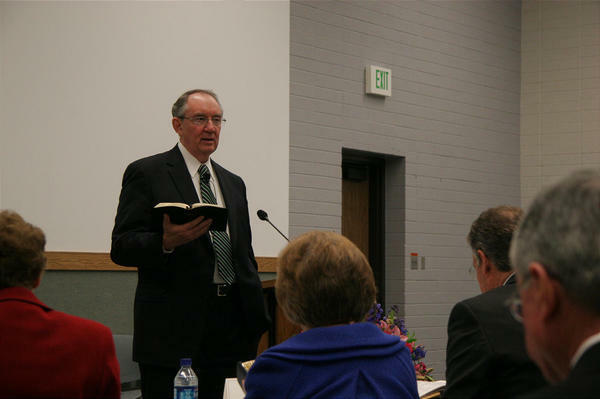 The following are excepts of an interview — conducted by the Deseret News and KSL-TV — on missionary work and missionary training. Question: This is a really simply question, but people ask it all the time around the world: Who are they who are these missionaries? Elder Hinckley: These missionaries are young men and women, some older married couples, some older single sisters who have a desire to serve the Lord and who have been called by the prophet to serve wherever – two years in the case of the young men, 18 months in the case of young women, and for seniors, it can be in some limited cases six months, in other cases 12 months, in others 18 months and in yet others 23 months. They do so at their own expense — or with the help of their families — and fill the Lord's mandate to go into all the world and preach the gospel, baptizing in the name of the Father and of the Son and of the Holy Ghost. And they do so willingly. They don't know what they're getting into, for the most part, unless they've had siblings or close friends who have served – they do a wonderful, wonderful job. They're young, they're inexperienced, and by the time they come home, they are mature and wonderful young people.